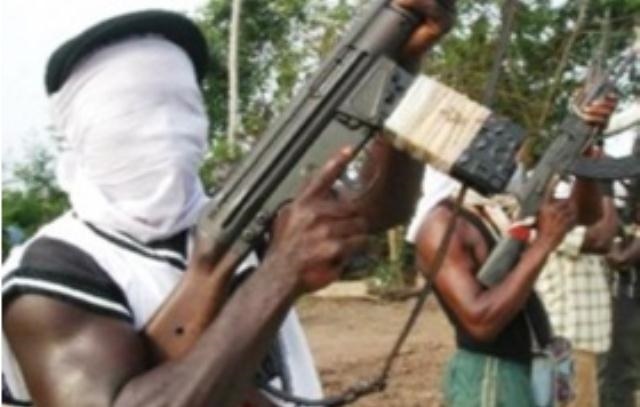 It was gathered that the gunmen made away with the police AK-47 rifles and ransacked the station for more guns and ammunition. It is getting scarier in Kogi. The other day it was hardened and dangerous criminals escaping from jail. But barely 24 hours after they were rearrested than unidentified gunmen invaded Gegu police state on Lokoja-Abuja. The attack led to the death of two police officers and one detained suspect. The bandits, numbering five, were said to have been armed with AK- 47 rifles and invaded the police station around 2.15 am on Tuesday on motorcycles. According to a source, immediately they arrived in the station, they opened fire to scare people away and moved into the station, where they shot the two policemen on duty. A suspect in a police cell was also killed by the men. It was further gathered that the gunmen made away with the police AK-47 rifles and ransacked the station for more guns and ammunition. The Police Public Relations Officer of the Kogi State Police Commander, Mr. William Ayah, confirmed the attack, adding that while the two policemen died, the suspect was only injured. Meanwhile, the corpses of the two policemen have been deposited in the mortuary of the Federal Medical Centre, Lokoja, by the Federal Road Safety Commission, while the injured suspect is receiving treatment in the hospital.